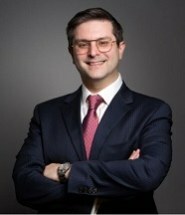 Steven Goldburd joined the firm after his tenure as Managing Attorney at the Law Offices of Donald G. Koch. Prior to that, he worked at Deloitte & Touche, PricewaterhouseCoopers and Geller & Company. He received his LL.M from New York Law School and his J.D. from Fordham University School Law. He was selected for inclusion in Super Lawyers Rising Stars for the years 2016 & 2017 and the Top 40 Under 40 Tax Lawyers in the State of New York by the American Society of Legal Advocates (ASLA) for the years 2015-2017.